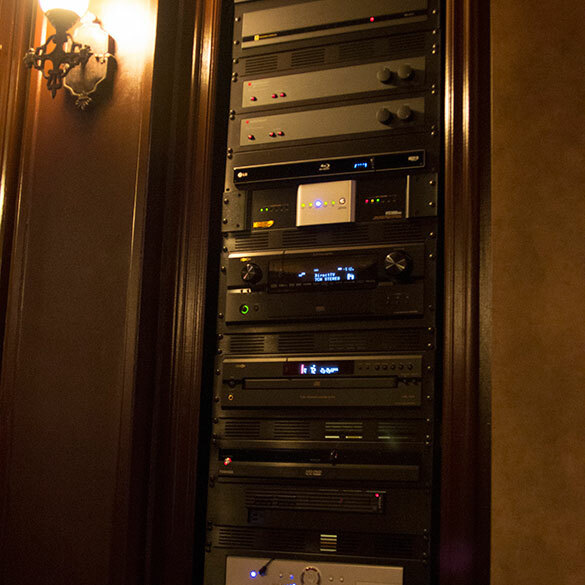 Image taken by Grand Central Wiring after the installation of a home cinema. 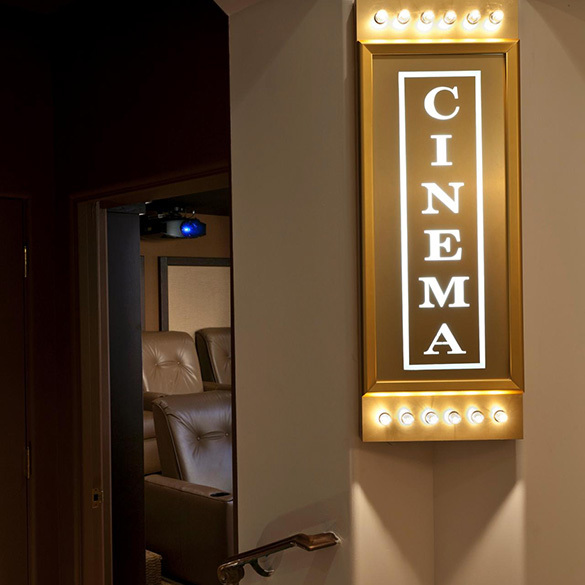 There will be no need for movie tickets with a custom home movie cinema in your home. Whether your ideal is plush elegance or the clean lines of modern design, we can help you achieve your dream home cinema. A full, immersive experience will provide you and your guests with hours of relaxing entertainment. 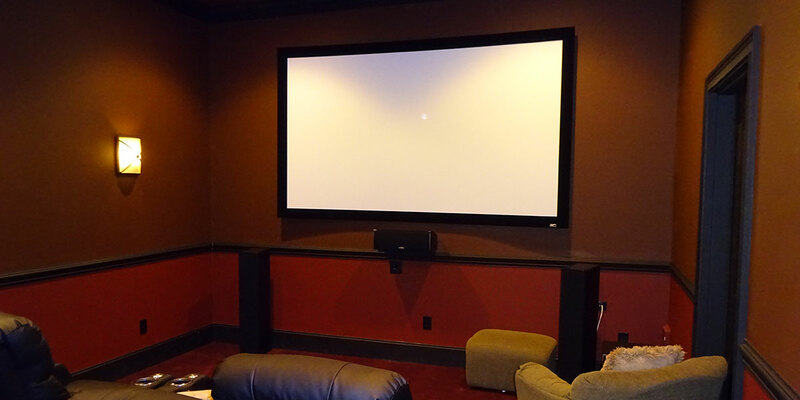 We design-build and install home cinemas in the Greenville, SC area. Today’s technology allows us to nearly reproduce the cinema experience. We can help you decide what seating you’ll be most comfortable in, what components you need, and what arrangement is best suited to your space. We also provide acoustic design elements that will allow you to achieve the highest quality sound, from acoustic panels to sound-absorbent floors. And don’t forget lighting! Ambient lighting can add a real cinema atmosphere to your room. Whether you want to install a large flat screen TV or a video projector, a sound bar or a full surround-sound system, DVD or Internet, whatever your ideal home cinema calls for, we can help you. Call (864) 881-1675 to talk with us about your project. 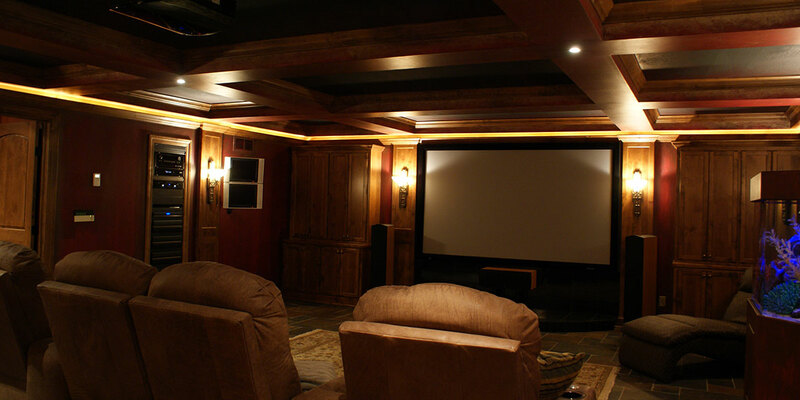 Images below are of home cinema installs by: Grand Central Wiring.